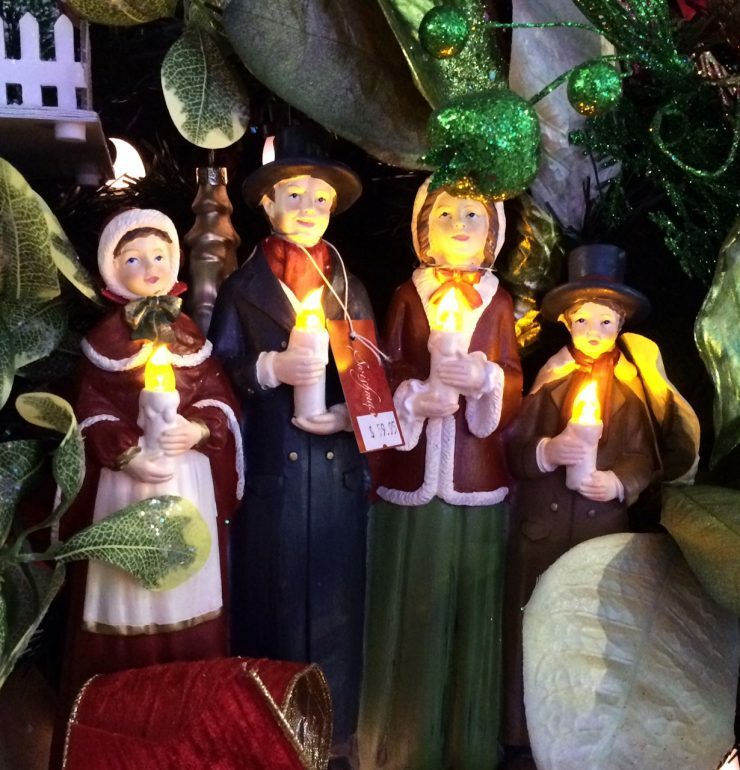 Resplendent in red and green, Christmas Carollers bring together memories of Christmas past. Traditional vintage themes and floral accents take centre stage. 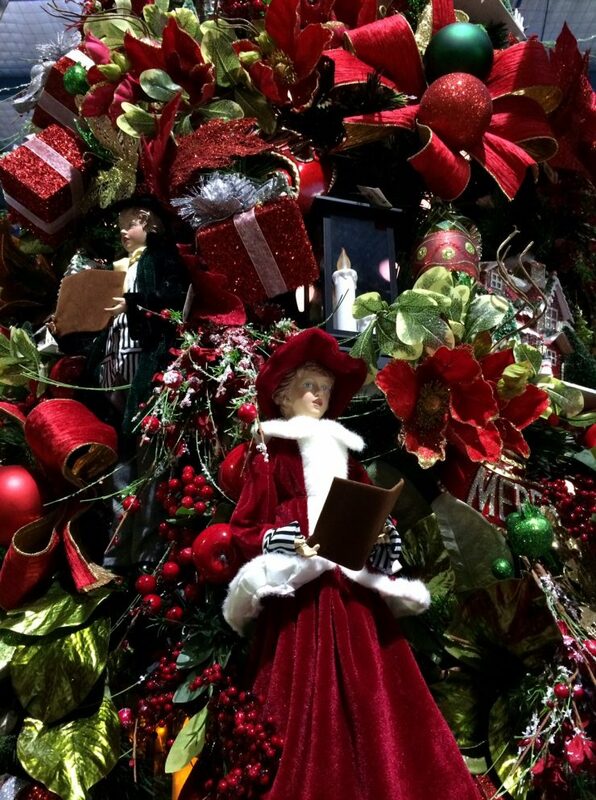 Christmas Carollers is a traditional Christmas tree decorated with vintage glass baubles and Victorian carollers. This tree came together very quickly although with so much amazing product to display it was really hard to edit. There’s a lot going on! Traditional Christmas flowers like the red poinsettia work perfectly with bunches of holly and sprigs of mistletoe. 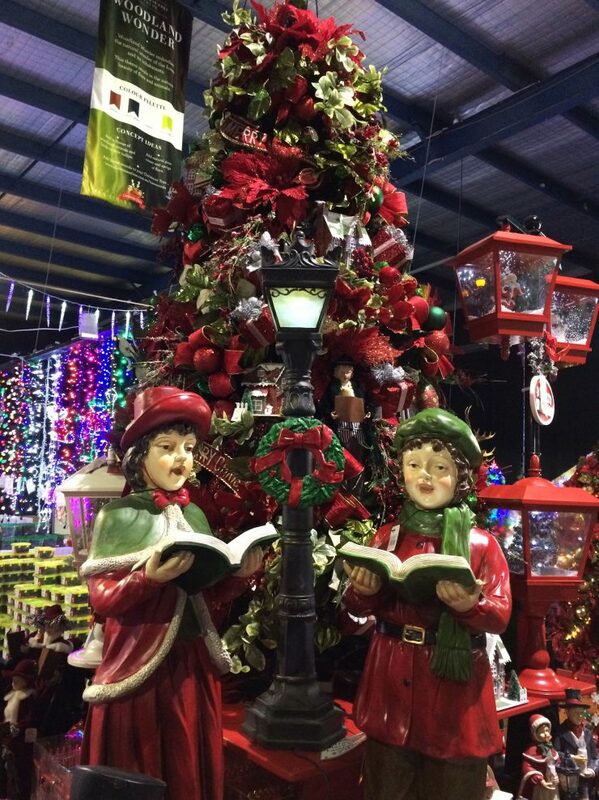 My favourite features are the minature houses, traditional lanterns and Merry Christmas scrolls. These are secured into the tree with floristry wire. Many of these products light up and add a lovely warm glow to the tree, unfortunately not practical on a 12ft tree but easy to achieve on a smaller tree at home. 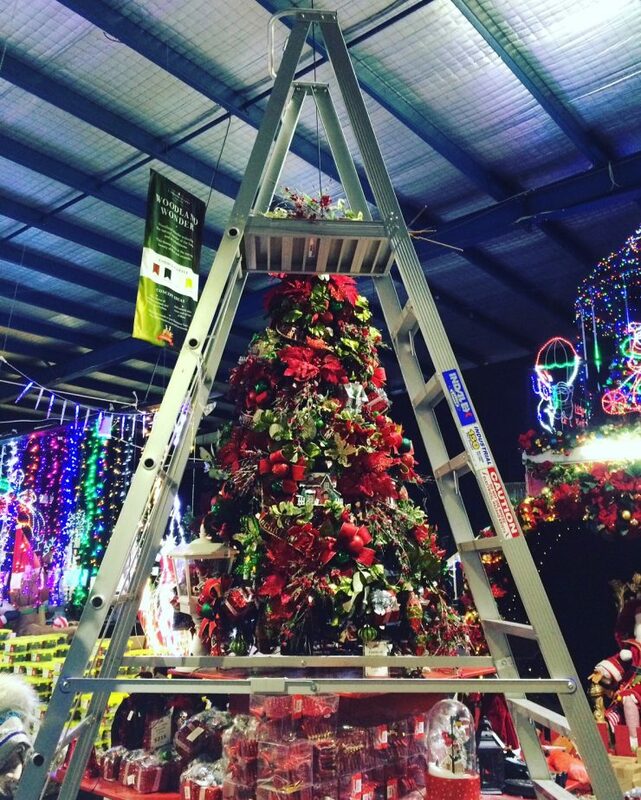 For maximum impact our trees are displayed on podiums and stand at least 12ft tall so we decorate them using a 15ft platform ladder. It’s a never ending story because new product arrives at the store every week.